On the same night I was to see Dear White People, which got turned into Before I Go to Sleep due to a broken projector, I was slated to take in Horns. Fortunately, that projector was working and, somewhat surprisingly, I found I was the only interested in seeing it at a 10:30 on a Wednesday night. Go figure. It has been awhile since I had a private screening. Anyway, this was the movie I think I was more interested in seeing anyway, even though I knew very little about it. 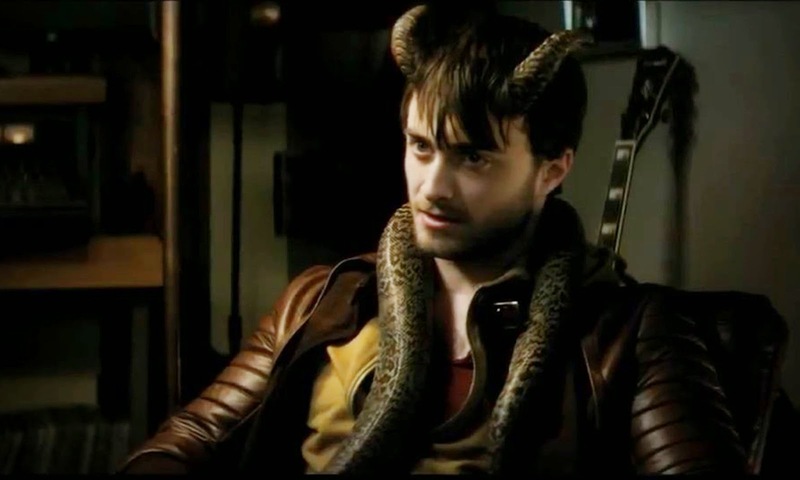 All I knew was that it starred Daniel Radcliffe, who has been somewhat impressive post-Harry Potter (The Woman in Black was really quite good), and that Radcliffe would sport a set of devilish horns. Frankly, that is all I really needed to know. The movie was directed by Alexandre Aja and seems like something of a change of pace for the writer/director. This seems to be more sedate on the gore side of the equation and a little more amped up in terms of general weirdness and with the added bonus of a heavy dose of romance. While this is not as grim as The Hills Have Eyes nor as over the top crazy as Piranha 3D, it still feels to be in Aja's genre-loving wheelhouse. He certainly does make the best of it. 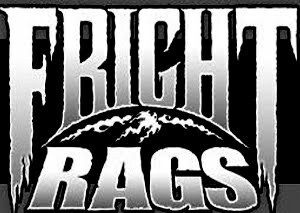 The screenplay duties were handled by Keith Bunin, making his feature film debut, adapting from Joe Hill's novel. 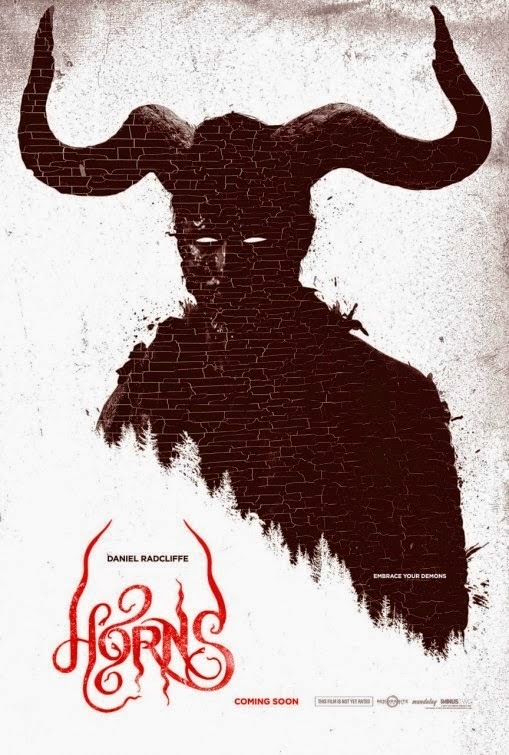 Horns is a bit of a genre mash up, bringing together horror, fantasy, drama, romance, and maybe a bit of noir. The result plays like a darkly comic merging of The Crow and Brick, while not really resembling either one. It is a movie that is a familiar as it is unique. It is not a perfect blend or a perfect execution, but it has a lot going for it and I found it to be quite endearing and effective all the same. Ig Perrish (Radcliffe) is a young man accused of murdering his girlfriend, Merrin (Juno Temple), and seems to be on the verge of being acquitted. Despite this, the town is having none of it. His home is picketed, he is constantly followed by news reporters, and he spends his time thinking of her and drinking to dull the pain. All this while trying to solve the crime himself. One night, after drunkenly desecrating religious objects and candles, he wakes up to find thje nubs of horns sprouting from his head. The nubs quickly become full blown horns and he finds the added bonus of people opening up their deep dark secrets, or the nasty impulses they have at the time of the meeting. On top of that, they seem very susceptible to Ig's suggestions. While he is somewhat freaked out by the appearance of the horns, he sees this as an opportunity to seek out the real killer, clear his name, and have his revenge. There is something sweet about the Ig and Merrin relationship. Bring in the childhood friends and the unconventional investigation and you have a movie that brings a different flavor to the screen. 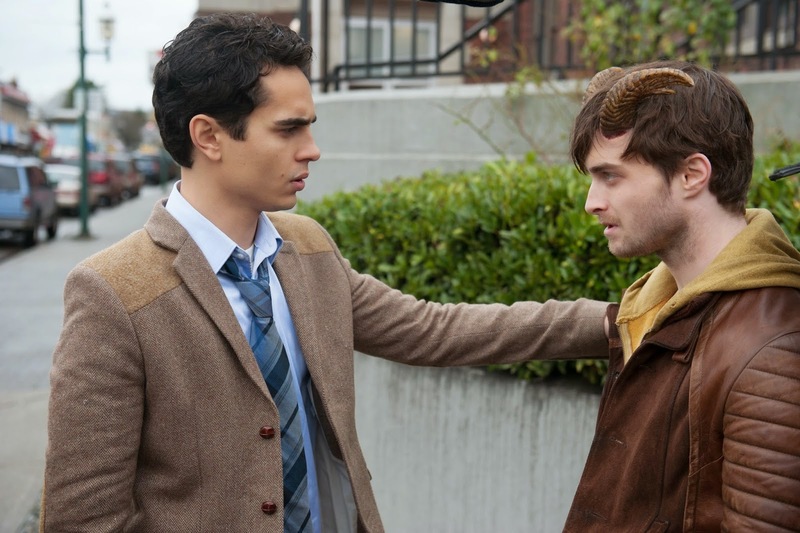 While it seems familiar, the dark comedy, fantasy, and the, well, horns bring it to a different level. I was attracted to the tragic romance that was doomed before the audience even enters the picture. Horns is an alluring film. It is not an easy sell, while I am sure many of wish for more original fare and movies that take chances, we tend to be in the minority. A movie like this is a marketer's nightmare, there is no built in audience to market to, it is a weird set up that the mainstream may not take a cotton to. Still, it is a shame more don't take a chance. This is a good example of a movie that takes a chance and a marketing group unable to pull off selling it. Frankly, as much as I enjoyed it, I am not sure what else to say about it. I love the mix of horror/fantasy and romance. I loved Ig's pursuit of the truth and the comical realization of the horns and their effects. It is a bizarre and entertaining film that is well worth wasting some time with.